In addition to the coloured gemstone industry, the diamond cutting and polishing industry is one of the island’s export success stories. There is a reason why the most iconic slogan of the 20th century was `A Diamond is Forever’. 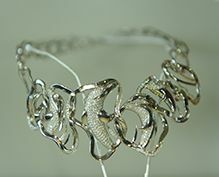 Diamonds have captivated men and women around the world as an integral part of love, engagement and celebration. Having infused new technology into the industry, Sri Lanka now produces beautiful and contemporary polished diamonds that are recognised internationally.The diamond cutting & polishing industry in Sri Lanka is highly organised and the diamond cutter companies have factories that are equipped with modern equipment. Sri Lanka has earned a reputation for its high-quality cutting and polishing Diamonds, while country’s specialty is small diamonds of exceptional high- quality, which are imported sawn or cleaved rough. In addition to the traditional brilliant cut, many cutting companies handle other specialised shapes and cuts, particularly tapers, baguettes and princes etc. While most of the rough diamonds imported for processing are sawn or cleaved in Belgium; a few companies purchase rough diamonds in the open market, selling the cut and polished product through overseas affiliates. 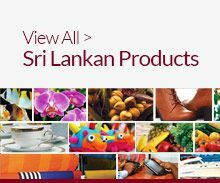 The industry in Sri Lanka is highly organised and the factories are equipped with modern equipment. Sri Lanka is a member of the International Diamond Agreement, Manufacturing Association and a signatory to the Kimberly Process. 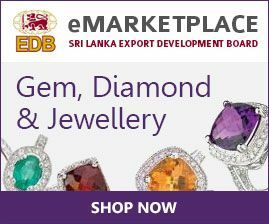 Sri Lanka is a member of the international diamond community, having joined the International Diamond Manufacturers Association.